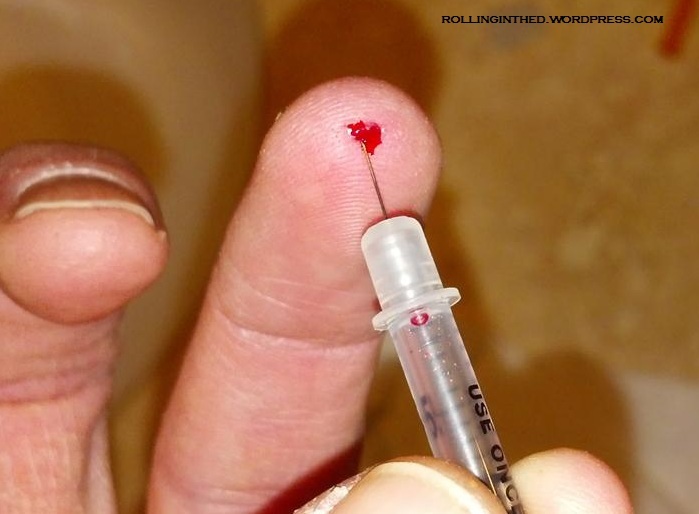 Insulin syringes are great for draining blood blisters. Of course, if I hadn’t smacked the tip of my finger with a hammer, that would be a moot point right now. Note: See the disclaimer at the bottom of this page. If you are daring enough to try this at home, you do so at your own risk. Maybe they’ll develop a diabetes vaccine someday… Any parent with diabetes or parent of a child with diabetes will tell you that they, themselves, would rather have the malfunctioning pancreas than their kids. If I put words in anyone’s mouth, I apologize. If it appears that I said that I’d rather see a vaccine than a cure, well, then maybe I did. My words were pretty ambiguous on the matter, and today my thoughts on the whole vaccine-or-cure debate still are a little hazy. 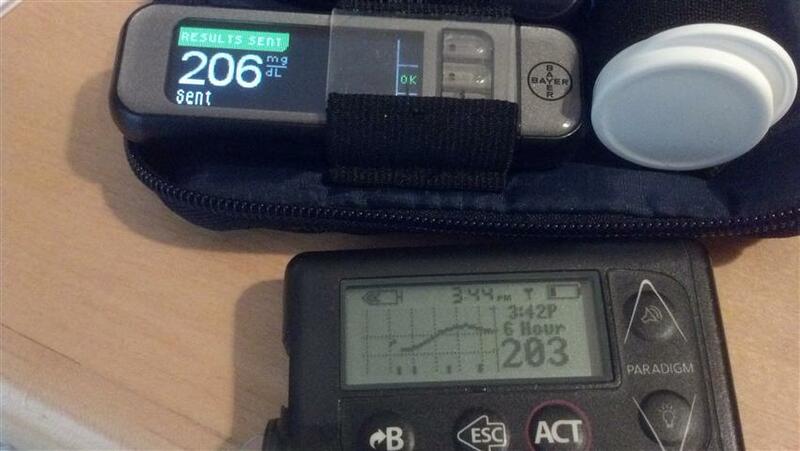 For the sake of people living with diabetes today, I’d love for them us to be cured. For the sake of annihilating the disease for future generations, I’d love to see a vaccine. In the 15 minutes after this picture was taken, my trend reversed-course and went up to 143. I came mighty close, but I never crested the 200 mg/dL level. My meter’s high-water-mark was 196. I call that a success. Shallow and superficial — because that’s the New Jersey way. 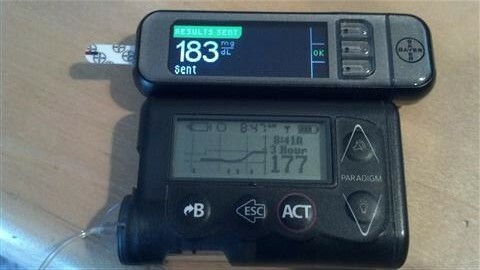 In Chapter 5 of Beyond Fingersticks, author Wil Dubois rants about how awfully inaccurate our BG meters are; the very meters we use to calibrate our CGM’s. 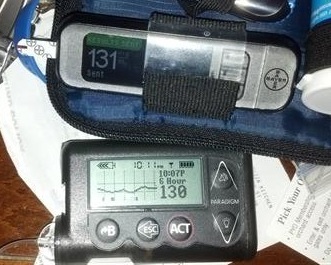 “And you’re pissed off because your CGM doesn’t give you the same reading as this piece of crap does?” he asks. 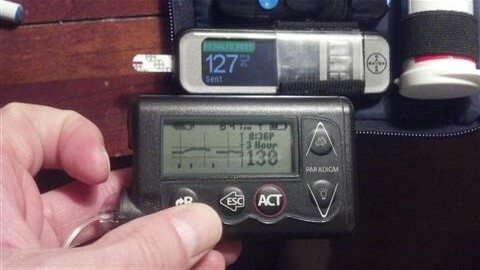 Well, I must say, since switching to the Bayer Contour NextLink meter, which is reported to be more accurate, my fingersticks and CGM’s have been noticeably MUCH closer to one another.